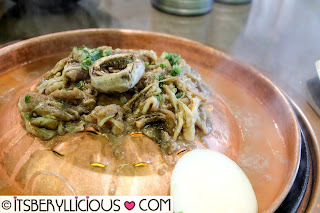 One of our family’s favorite cuisine is Korean. 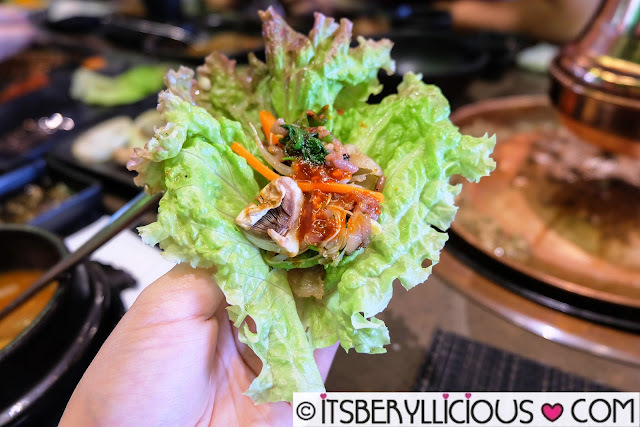 We used to dine at different Korean buffets around the metro because we get to enjoy various meat selections and Korean dishes to our hearts’ content. But ever since my dad underwent angioplasty a year ago, our family became more conscious on the food we eat, when dining at home and in restaurants. 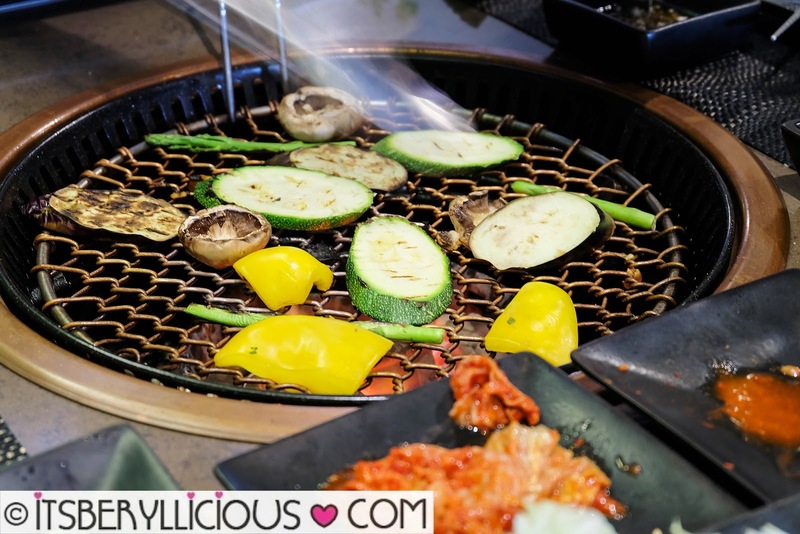 While we stayed away from buffets and other eat-all-you-can establishments, we still enjoyed eating Korean food since it is has a lot of healthy grilled options and vegetables. It was a post-birthday celebration for my Dad and the brother decided to treat the family. 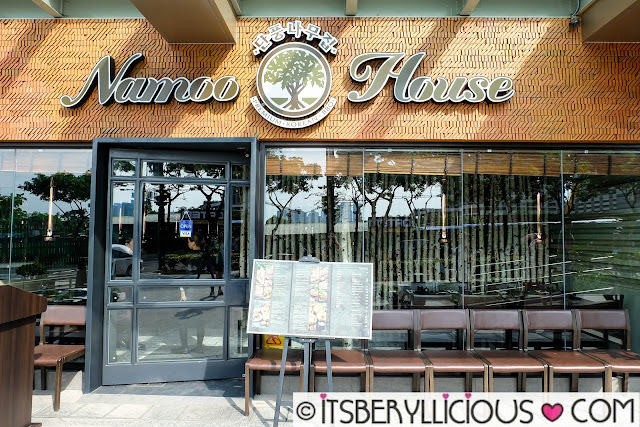 We went to Uptown Parade in BGC and chanced upon this Korean restaurant called Namoo House. Like most Korean restaurants, we were served with some complimentary banchans while waiting for our orders. 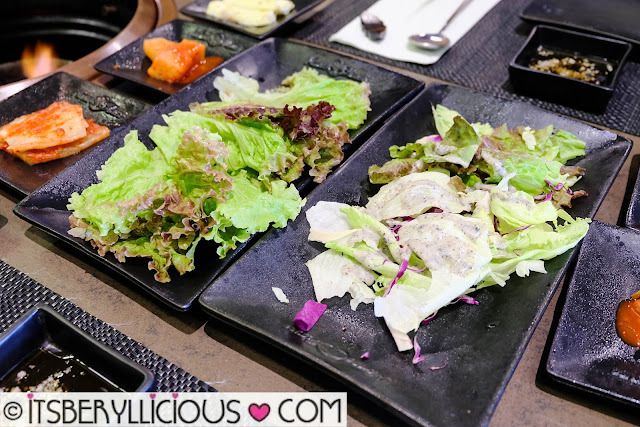 Their appetizers consisted of mixed greens with sesame dressing, kimchi, anchovies, omelette, steamed and pickled veggies. 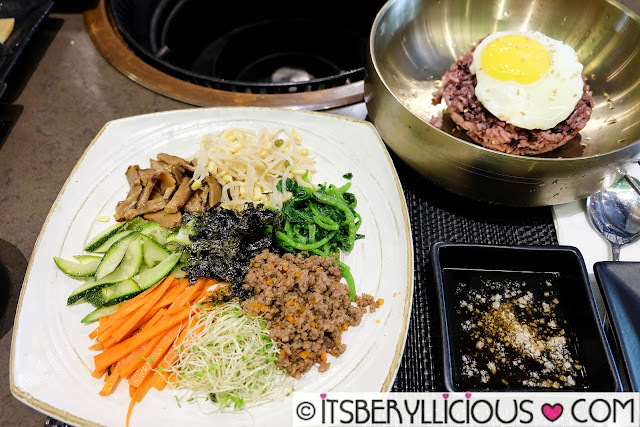 Namoo House offers two kinds of bibimbap. One is the Classic Bibimbap (P350), and the other is served in a stone bowl for a crisp and toasted effect. 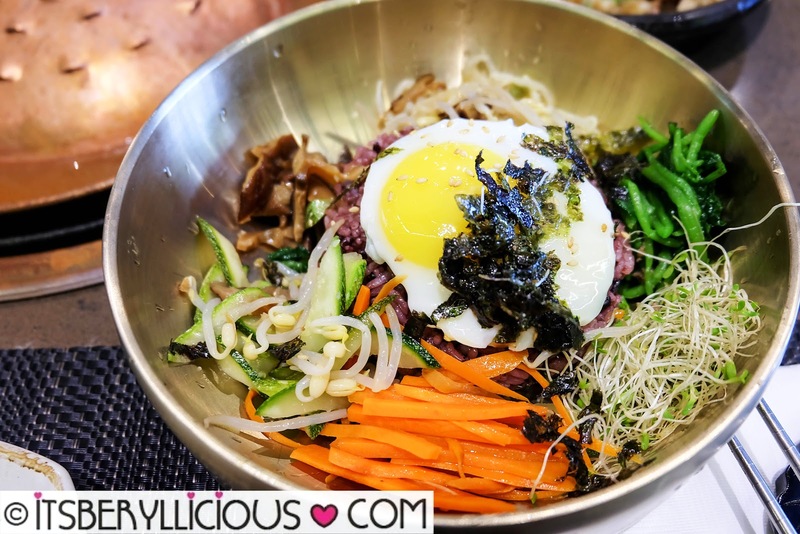 The classic bibimbap features a mix of white and red rice topped with a sunny side up egg. It's nice that they served us the vegetable and meat toppings on a separate plate so my mom can remove the meat easily before mixing the bowl. How can you go wrong with a classic bibimbap? I personally think that the secret to a good bibimbap is the freshness and quality of the ingredients/toppings. In this case, the vegetables were visibly fresh, so it wasn’t a surprise that everyone loved it. The only comment we had was that serving size for the rice was too small. Unlike in some other restaurants wherein a bowl can be shared by two, this was just enough for one. The slices of beef short-plate brisket were fatty but still flavorful in its sweet marinade. This is perfect for those who want a good amount of fat trimmings on their beef, but not for us who tend to remove the fat trimmings anyway. 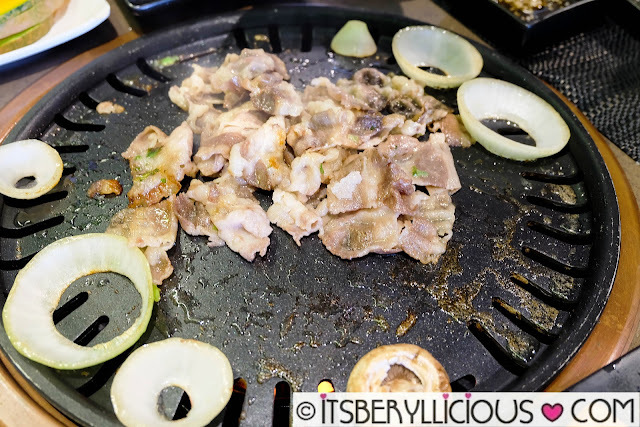 Namoo House Bulgogi, on the other hand, was the right option for us. 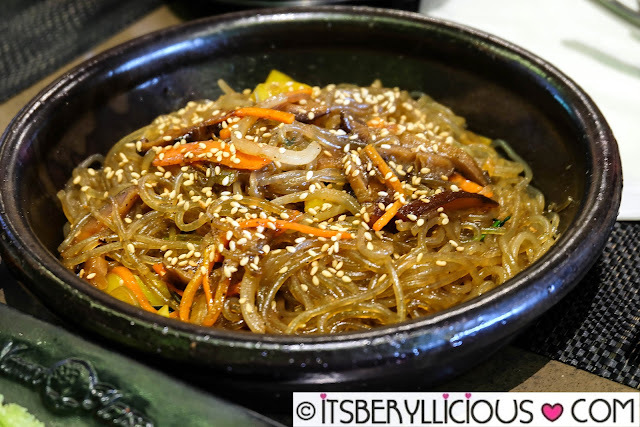 The classic bbq dish of beef bulgogi is served with glass noodles in Namoo’s signature beef broth. 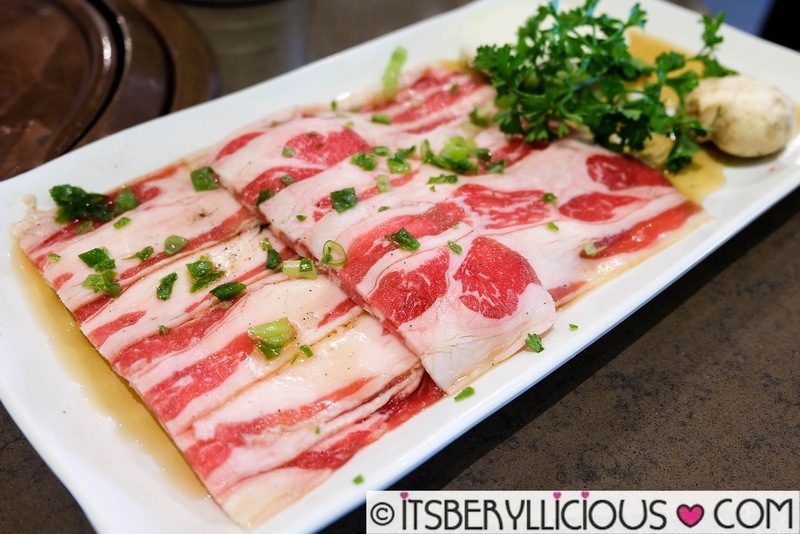 The beef was sweet and tender, and the broth was very light and tasty. Of course, we can’t miss out on our favorite sweet potato noodles with vegetables. The classic Korean noodle dish was a tad oily, but it was understandable, since the noodles tend to stick together if not. Since I mentioned that my mom doesn’t eat meat, we ordered her some fresh vegetables to grill. 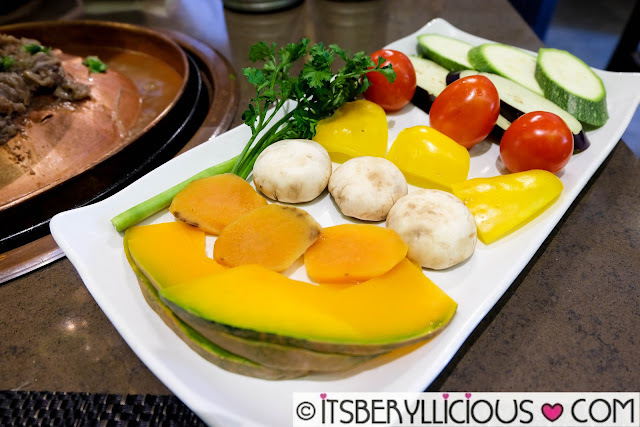 The only item we had a hard time eating was the squash since it was so hard despite being grilled for too long. 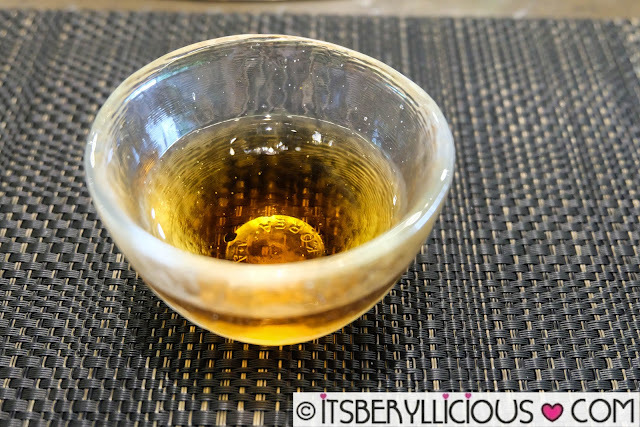 Our meal was capped off with a complimentary cup of a plum juice which was very refreshing and sweet.